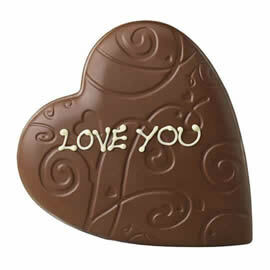 A pillow shaped 3D heart made from milk chocolate, Thorntons' Milk Chocolate Lace Heart can be personalised for an extra special chocolate gift. 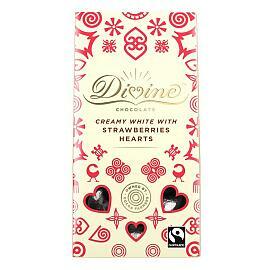 Deliciously creamy Divine white chocolate with pieces of real dried strawberry; a tantalising combination! 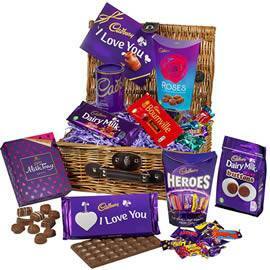 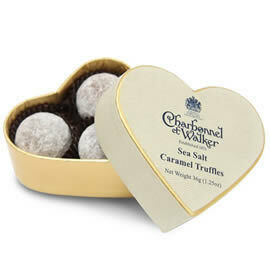 Each mini heart chocolate is wrapped in silver foil making a lovely gift. 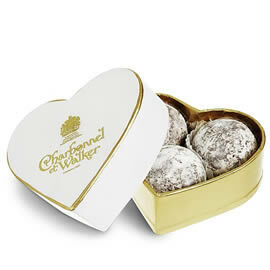 Charbonnel et Walker Champagne Chocolate Truffles Mini Heart, a heart shaped, white gift box containing three, milk chocolate and Champagne truffles. 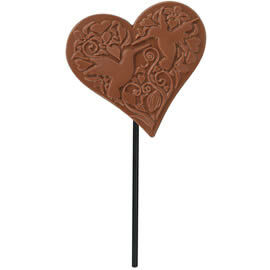 The Hotel Chocolat Milk Chocolate Heart Lolly, a gorgeously intricate heart-shaped lolly cast in classically creamy 40% milk chocolate. 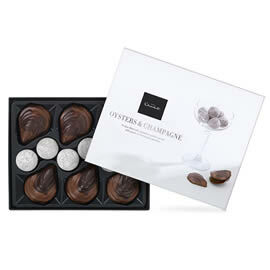 Hotel Chocolat Chocolate Oysters & Champagne Truffles, a romantic box of chocolates praline chocolate oysters and champagne truffles.